🚀 Why aren't they engaging with our latest feature? 🔧 How could you tweak the product to improve the customer experience? 😖 Why are customers losing interest and churning? Answering these kinds of questions requires understanding motivation. What pulls people to act? What pushes them away? While each of us has a unique blend of desires and dreams—or fears and anxieties—we have much more in common. We're all human. Our common humanity means we're all working with similar organic "hardware," and by researching human behavior, we can figure out just what makes us tick (or tap). Through applying neurological research to how you build products, you can code motivation right into the product and deliver a better customer experience. When customers are motivated to use your product, the results speak for themselves: New product features get adopted right away, the product is more engaging, and you create the kinds of customer relationships that last. Yea, we know: easier said than done. It's not like there's a manual for how the brain works. Thankfully, there are models that can help get you closer. And today, we're sharing one of our recent favorites. It's a powerfully simple, brain-based model captured by the acronym "SCARF." Created by Dr. David Rock, founder of the NeuroLeadership Institute and author of the book Your Brain at Work, the SCARF model helps you break down motivation across five major dimensions. Once you understand the SCARF model, you'll find you can apply it quickly to tease out new insights about the products you manage—and across nearly every dimension of your work. The SCARF model is all about understanding motivation. So let's get to it! In 2008, David Rock published SCARF: A Brain-Based Model for Collaborating with and Influencing Others (PDF). Therein, Rock detailed his brain-based model for human motivation—one he created based on pouring over years of neurological research. When it came to motivation, Rock observed clear patterns in the research. He noticed humans classify stimuli as either "good" or "bad" and the classification depended on whether the stimuli led to rewards or threats. If a stimulus is rewarding, it's classified as "good." We are motivated to approach good stimuli. If a stimulus is a threat, it's classified as "bad." We are de-motivated by "bad" stimuli, so we disengage or avoid them. Encoding stimuli as "good" or "bad" means they can be processed by the limbic brain. Simply put, the limbic brain operates at a subconscious level without recruiting the executive function—a.k.a. the prefrontal cortex. By avoiding the prefrontal cortex, stimuli are assessed rapidly while conserving resources (Technical term: "brain power" — just kidding). In situations of life and death, reacting quickly—and conserving energy—can make all the difference. Of note, our brains pay outsized attention to potential threats. This makes evolutionary sense as missing a potential reward has a limited upside while the threat you miss could kill you. As Rock puts it, we walk toward rewards but run away from threats. We walk toward rewards and run away from threats. Simple. And now that you've got this basic background on rewards and threats, you're ready to apply it using the SCARF model. David Rock's SCARF Model is an easy way to remember the five major domains across which people assess stimuli as "good" or "bad," rewards or threats. The acronym "SCARF" stands for status, certainty, autonomy, relatedness, and fairness. Each domain can be assessed independently though they ultimately all play a part. Below we'll examine each domain in detail and then dive into discussion about how to apply SCARF to products. Status concerns an individual's social standing—that is, where they fall in the "pecking order" or their place in the dominance hierarchy. Rock points out that status activates "primary reward circuitry" in the brain and highlights research on primates that connects higher status with lower baseline cortisol levels (i.e. lower stress and inflammation), as well as longer and healthier lives. It's no surprise people are motivated to act in ways that positively improve their status. But perhaps more importantly, Rock points out that the "perception of a potential or real reduction in status can generate a strong threat response." Citing research on social rejection, Rock notes that a hit to status can light up the same regions of the brain as physical pain. Ouch! Expect people to approach things that improve status and to disengage or avoid things that threaten it. Ask: How does my product elevate the status of users? While this question is easily answered for luxury products, what about for software? How does your product improve the credibility of its users with peers? What about your product signals high value to external stakeholders? There are countless products built almost exclusively to fight for status—e.g. see the most popular social media platforms. Within the product world, sites like Dribbble and ProductHunt are status machines. The takeaway? Build outputs into your products that elevate the status of users, things that say, "Hey look at me! I'm doing something important!" Certainty is about our ability to make accurate predictions about the future. Rock talks about certainty by describing a simple task: picking up a cup of coffee. When you pick up a cup of coffee, your sensory system works with your motor cortex to ensure you hold the cup properly so it won't spill. Now imagine what happens when your piping hot coffee mug is filled to the brim with a fresh pour of steaming hot coffee? Unlike the previous situation, it's now much harder to make predictions. A wavering grip could mean a mess or even burning your skin. If you choose to take a sip too fast or too soon, the coffee could burn your mouth. The brain must use dramatically more resources, involving the more energy-intensive prefrontal cortex, to process moment-to-moment experience. Uncertainty means you slow down, hesitate, procrastinate, avoid entirely, or disengage. While our hot coffee example may seem trivial, the takeaways readily apply to major everyday tasks. Let's say your boss just gave you a multi-month project to solve a complex product problem. Working the project requires long-range planning and coordinating efforts with numerous stakeholders across your organization. Will you see the project as a motivating opportunity or a possible threat you need to carefully assess? Now contrast our fictional product project with a situation where you know just what to do. Here, the predictable nature of the project means a reward is certain. And you know you'll be motivated to act. Ask: How does the product assure users it does what it's says it does? Analytics software is a useful example for understanding the importance of certainty. Your analytics are only as good as the data presented and what you can deduce from studying that data. Is the data trustworthy? Does it accurately reflect what's happening in my product? Can I use it to confidently make business decisions? Because on the flipside, data you can't trust and analytics that lack clear actions result in uncertainty—and aren't likely to motivate users to act. For a good example of how certainty can be built into a product, consider how certain retails promote price-matching and free, fast shipping. Making it clear to customers they are guaranteed the best price and won't see hidden shipping fees at checkout goes a long way to removing uncertainty—and motivating action. Autonomy is about the power to exert control over your environment. It's the freedom to make choices. When you have autonomy, you're empowered to take action. Combined with certainty, autonomy is highly motivating. As Rock put it in his paper, autonomy is about the ability to "influence outcomes." When you lack autonomy—say you want to pursue a course of action but lack the power to do so—you hit a motivational wall. Consider the common, painful experience of feeling micro-managed. When you're micro-managed, not only means are you told what to do, a direct affront to your autonomy, you start to feel helpless about making any decisions whatsoever. You're too concerned any decisions you make will be quickly overturned by your manager. As a result, you simply don't act. When you combine a lack of autonomy with uncertainty, the impact on motivation is devastating. Ask: How does my product empower my users to act? When it comes to digital products, autonomy is everything. Search functionality, fast loading pages, knowing where to look for answers (e.g. a Knowledge Base, Help Center), having clear calls to action—all of these things are ways to increase individual autonomy. Of course, allowing your users and customers to do anything on your product may not be advisable. There's a balance to be struck between "all things are possible" and "you have a few options." In fact, with autonomy, there's something to be said about limiting choices to reduce the cognitive load on your users. Google is perhaps one of the most powerful, widely used digital products that when you think about it, is all about autonomy. Google empowers you to get answers to whatever question you have instantly, from anywhere, with almost no friction—plus it's free. Talk about autonomy! Relatedness has to do with feeling connected to other people—in particular people we identify as being similar to us. Feelings of connectedness are rewarding because we expect others who are similar to us to be think, act, and have similar desires to us, which makes them potentially helpful for our survival. Relatedness comes down to empathy. The more you empathize with someone else, the more you are motivated to help them ... because helping them is, in effect, like helping yourself. Relatedness has been seen as a highly motivating stimulus in the field of psychology for some time, and you can do a deep dive into relatedness as a persuasive tactic by picking up Robert Cialdini's book Influence. In Influence, Cialdini shares how "Liking" is one of the six principles of influence. Ask: How does my product help me connect to others? Again, relatedness is all about empathy and identifying with others. While social networks might seem like good examples of products that drive empathy, that's not clear. You could make a strong case that digital products make for challenging venues for driving relatedness. Still there are a few strong contenders. You've likely heard about the "YouTube community." What does that mean? If you've ever followed a vlogger on YouTube, you know: watching videos of vloggers connects you to them in a way that is surprisingly personal. YouTube viewers feel connected—spoken to—by influencers. The same is true for Instagram influencers via the story function. Outside of video, FullStory is an empathy engine and perpetual source of motivating relatedness. 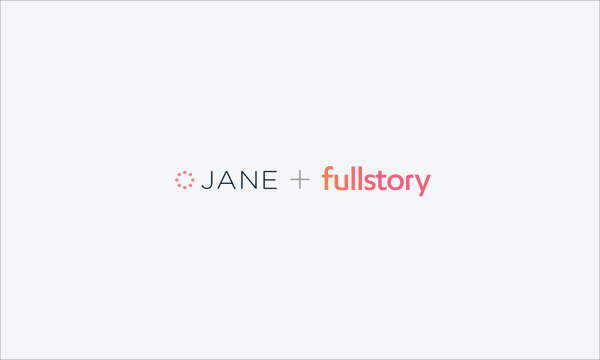 Watching recorded sessions of struggling users in FullStory connects you to the real experience of using your digital product. It builds empathy. Watching a session replay gives developers the relatedness they need to feel motivated to fix bugs. This goes double for support agents seeking to solve customer problems. And product managers feel connected to their users as they struggle to adopt a new feature. As David Rock reports, "fair exchanges are intrinsically rewarding." So regardless of the fairness or unfairness of life, when it comes to day-to-day interactions, maintaining the perception of fairness is important when it comes to motivating people. And avoiding the perception of unfairness—or injustice—is likely even more important. Ask: Is my product fair? For products, evaluating your product through the lens of fairness can be challenging. Here's one way to think about it: make sure your product clearly delivers value above and beyond its price. Products that outperform on value are assured to be loved by users. While you're confident your product is of high-value, how do you ensure your users understand that value? It needs to be obvious. Now consider the opposite situation. Products that are seen as expensive and overpriced will get no love from users. And if users feel stuck with your product because of some contract you had no control (autonomy!) over, it's even worse. In these situations you can almost guarantee they won't be motivated to use the product ... unless they have no choice. These users are the ones likely to take their frustration out online in the form of reviews. As you can see, using the SCARF model can be a powerful framework for teasing out insights about products, but it doesn't stop there. David Rock originally created the SCARF model to help individuals understand their own motivations as well as the motivations of others in the workplace. That's a topic for a future installment. Additionally, we've found the SCARF model is a useful frame for thinking through personas—a.k.a. those archetypes marketers create to craft collateral and messaging that resonates with target audiences. We hope to write more on that at a later date, as well. If you've enjoyed this article, please subscribe to our newsletter. And if you use the SCARF model, share your experiences with us in a comment below—or find us on twitter (@fullstory).